We bring to Discover Granite & Marble years of experience as independent contractors that had us working on dozens of residential and commercial projects in the D.C., Southern Virginia and Northern Maryland areas. Together, we have over 40 years of combined experience working in both the United States and Europe. We strive to meet all the needs of our customers, residential and commercial with a large selection of high quality granite and marble for your home or building. Our prices and packages are competitive without sacrificing quality. No project is too big or too small for us. 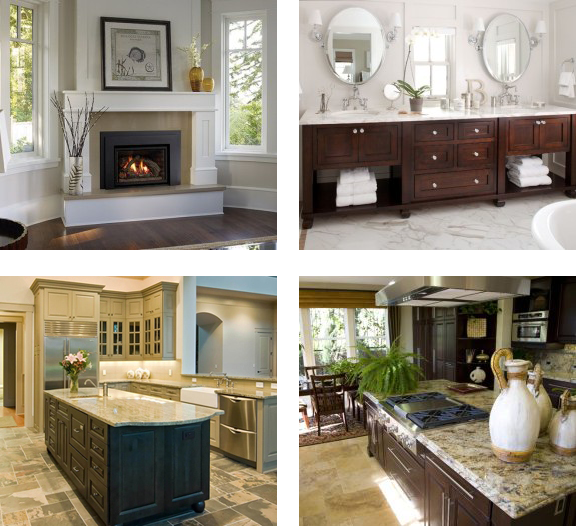 Our team of professionals has experience with professional design and installation of kitchen countertops, vanities, shower walls, fireplaces, shelving, flooring and granite exterior masonry. Not only do we pride ourselves on our level of experience but we hold ourselves to the highest standard of service. We guarantee you will receive professional, timely service each and every time. Our design and installation teams will be courteous and attentive when meeting your granite and marble needs. We invite all our customers to come right into our showroom and warehouse to select the perfect slab. You can see up close the dozens of colors available among the hundreds we have in stock. We are currently serving two locations.